Always remember those special "little boy" days with this adorably cute and handsome decoration. 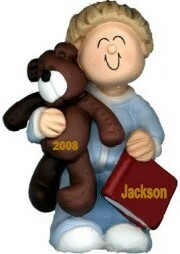 The blonde boy with teddy personalized toddler ornament is perfect for a second or third Christmas. We hand letter his name and the year on these kids ornaments personalized to become cherished mementos of these wonderful years. Our attractive holiday cord makes it easy to hang the child with teddy, male blonde hair ornament for toddler personalized Christmas ornament wherever it will provide the greatest pleasure. 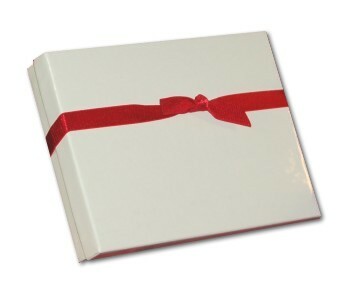 It arrives in our exclusive velvet gift and storage pouch.